One of the world’s most esteemed conductors, Semyon Bychkov has achieved international recognition for an approach to music making that combines innate musicality with the rigors of Russian music pedagogy. Mr. Bychkov first came to international prominence in 1972, when—at age 20—he took first prize in the Rachmaninov Conducting Competition. Since then he has conducted virtually all of the major orchestras in the U.S. and Europe and enjoys long-standing relationships with orchestras and opera houses in Amsterdam, Berlin, Chicago, Cleveland, Dresden, Leipzig, London, Los Angeles, Milan, Munich, New York, Paris, Philadelphia, Rome, San Francisco, and Vienna, among others. 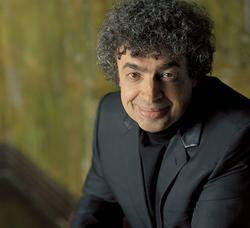 Mr. Bychkov currently holds the Klemperer Chair of Conducting at the Royal Academy of Music and the Günter Wand Conducting Chair with the BBC Symphony Orchestra, with which he appears annually at the BBC Proms. He also leads annual tours with the Munich Philharmonic, Royal Concertgebouw Orchestra, and Vienna Philharmonic.